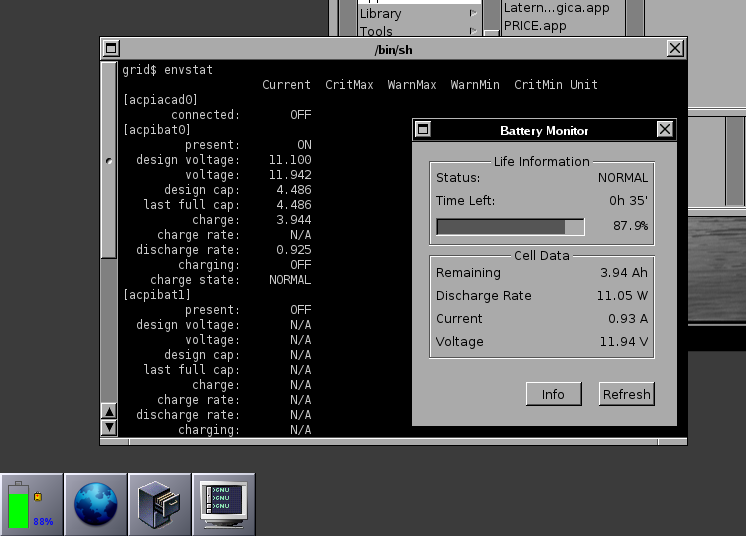 BatteryMonitor for GNUstep now has support for NetBSD acpi too now! Support languished because decent acpi support in NetBSD is relatively recent and reading it requires checking a property list (which is of course more complex, but at least consistent and clean compared to the maze of files linux provides). To manipulate it libprop sports handy functions, yet I always had some problems here and there, until I realized something very cool. Property lists are familiar to GNUstep and Cocoa users. to get a dictionary and manipulate it with obj-c iterators, which is much more convenient than the equivalent C function provided by libprop. Support is still quite rough and, for example, only the first battery is checked. 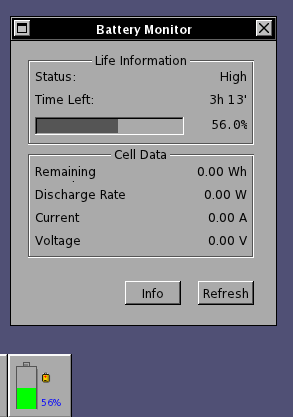 I have only one NetBSD laptop and I don't know how NetBSD shields the results from BIOS idiosyncrasies I experienced on Linux (watt-hour and ampere-hour usage and orthogonality for example). But it is already very nice! Some applications recently lost their home, thus Sebasitan Reitenbach, of OpenBSD packages fame, asked if GAP could find a new place for them. 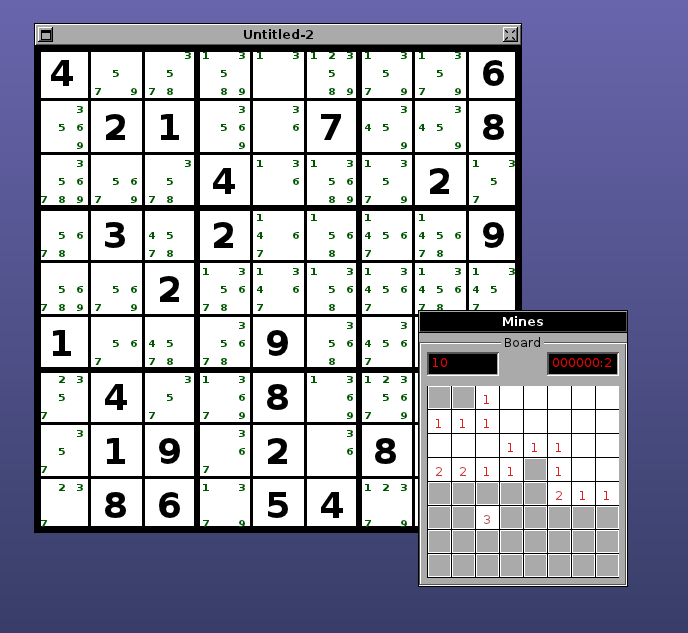 Marko Riedel published several small applications in the past year: games, preview utilities... these need patches to continue working with newer GNUstep versions and to fix bugs. For a packager, it is more convenient to have a stable place from where to retrieve everything. 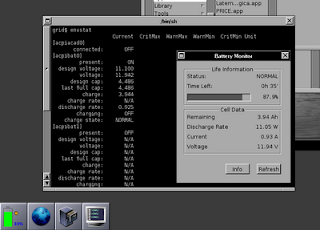 Mr. Riedel gave us the authorisation to import the applications. Sudoku and GMines are already part of the repository and have been brought up-to-date and work again smoothly. Jigsaw puzzle is on its way. I wonder what we should do with Yap, the a2ps front-end. The image viewing capabilities are well covered by PRICE and LaternaMagica, the PDF viewing is handled by GSPdf in the same way through ghostscript. The only value added would be the pretty printing through a2ps. Does anybody use this and is it worth investing time to fix YAP ?